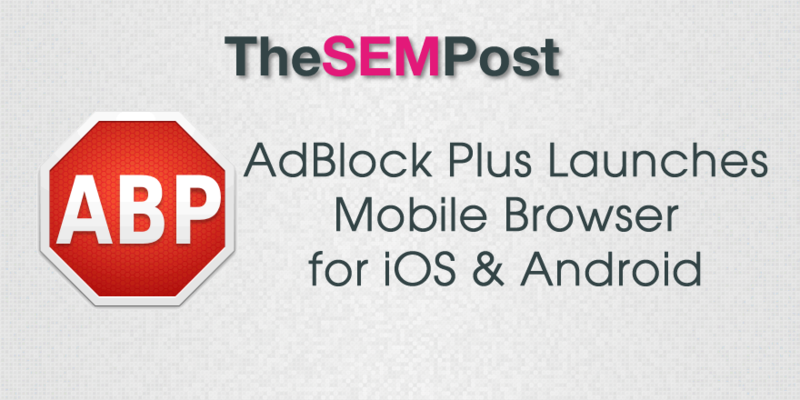 With much of the focus being on the new ad blocking capabilities in iOS 9, AdBlock Plus has upped their game by launching their own mobile browser to tackle the problem of online advertising on mobile devices. What remains to be seen is just how many people will download and use yet another browser on mobile. Getting people to change their chosen browser can be difficult, but one we have seen Google overcome with their Chrome browser. The AdBlock mobile browser also has additional features to both save bandwidth and reduce clutter on webpages, such as blocking all buttons, including tracking and social media buttons. According to AdBlock, they believe that iOS 9 could be as close as two weeks away, which will also have new ad blocking capabilities. And part of their marketing for the new browser is the fact they have launched prior to the new iOS being available. AdBlock Plus didn’t make clear if the new mobile browser would have the same ad blocking “whitelist” that the desktop browser addons currently have – a service that larger companies currently pay for. But it is likely that the same whitelist would apply to avoid alienating those power advertisers that ironically support AdBlock. Depending on the adoption of this browser, it could have an impact on advertisers who are trying to reach mobile users. But unless many, many users of their current desktop versions decide to download their mobile browser, it is likely that the ad blocking in iOS will have a far greater impact. You can download the AdBlock Browser for iOS here from the App Store and AdBlock Browser for Android from the Google Play Store.